Aged 16 years and 49 days Peter was Reading’s youngest player to play for their first team, when he played in their 3-0 win over Watford in April 2003. He had joined the Reading youth set up two years earlier from Bournemouth, but after that single appearance, he failed to make the team again. Whilst with Reading he played international football with England U16’s and the Republic of Ireland U18’s. Peter went on loan to St.Albans in September 2005 playing six games, before a further loan spell with Diamonds started on 10 January 2006. With Reading due to release him at the end of the season, he was offered a short term contract with Diamonds. After just two starts however, he was released at the end of the season. He joined Staines Town of the Isthmian League Premier Division in July 2006, before joining Eastleigh in October. After just a couple of games, he moved to Southern League Division One South & West side Bashley in November and quickly became the fans favourite at the Hampshire club, with the club gaining promotion to the Premier Division. On 22 January 2010, he joined Southern League Division One South & West side AFC Totton in their attempt to gain promotion, but left at the end of the season to join fellow Division One South & West side Gosport Borough on 27 June 2010, where he remained for the season. On 1 July 2011, Peter joined Wessex League Premier side Lymington Town but did not remain long with the club before joining GE Hamble. 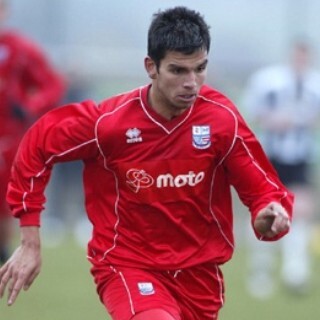 On 21 June 2012, he signed for newly promoted Southern League Division One South West side Winchester City. Following the club’s early exit from the FA Cup and FA Trophy, Peter departed and joined rivals Sholing on 21 September 2012. The following season, he helped them get to Wembley and winning the FA Vase. He was still with Sholing into the 2018-19 season.